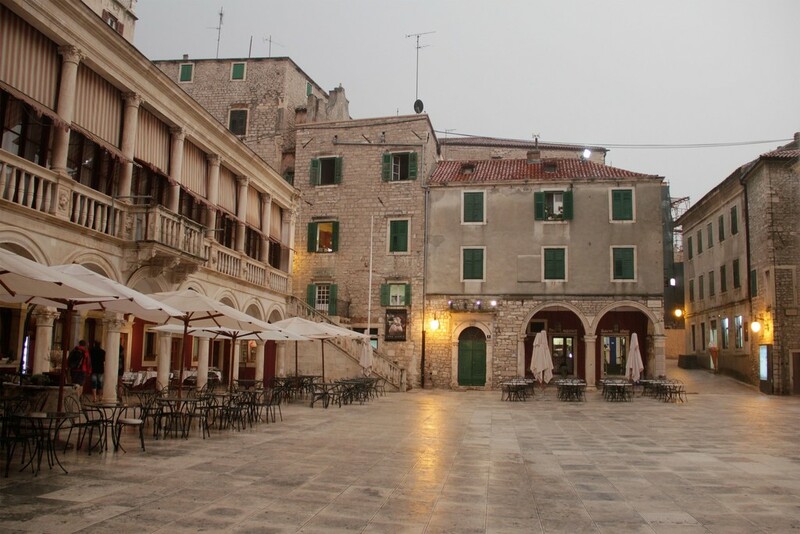 Located in the Adriatic Sea, we are based on the island of Prvić in the geographic heart of the Dalmatian Coast. 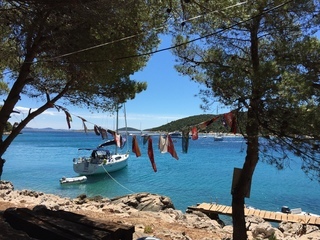 This is the perfect base from which to explore the area's uninhabited islands, quiet fishing communities and laid back way of life. 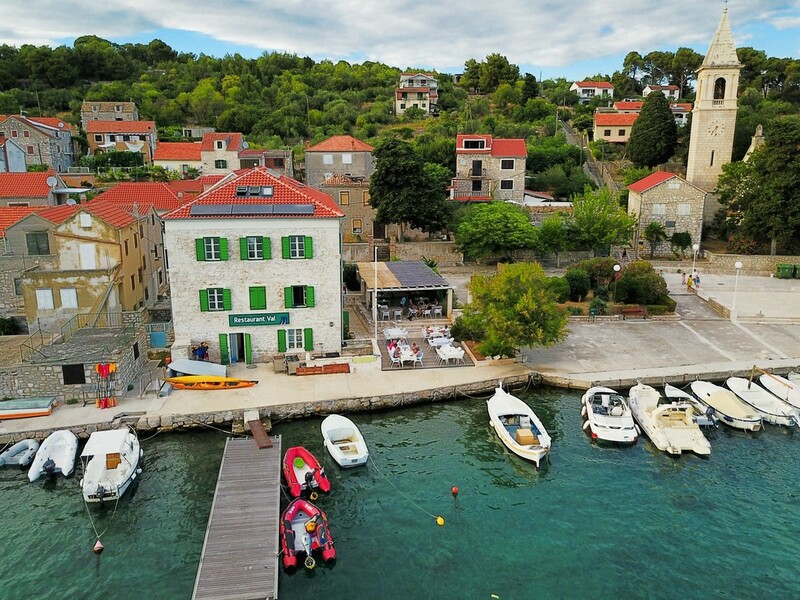 During the tour you will visit some of the most isolated islands in the Adriatic Sea including Zlarin which has been inhabited for 700 years and where cars are still banned today. 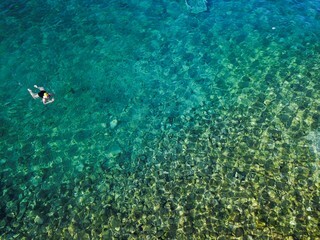 Many of the islands visited on the tour are uninhabited and their natural beauty is untouched. 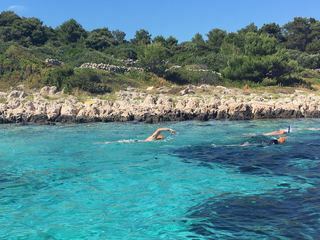 If you would like to explore this part of the world, but are looking for slightly shorter or longer swimming distances, please check out our Dalmatian Coast Short Swims - Croatia or Dalmatian Coast Long Swims - Croatia trips. 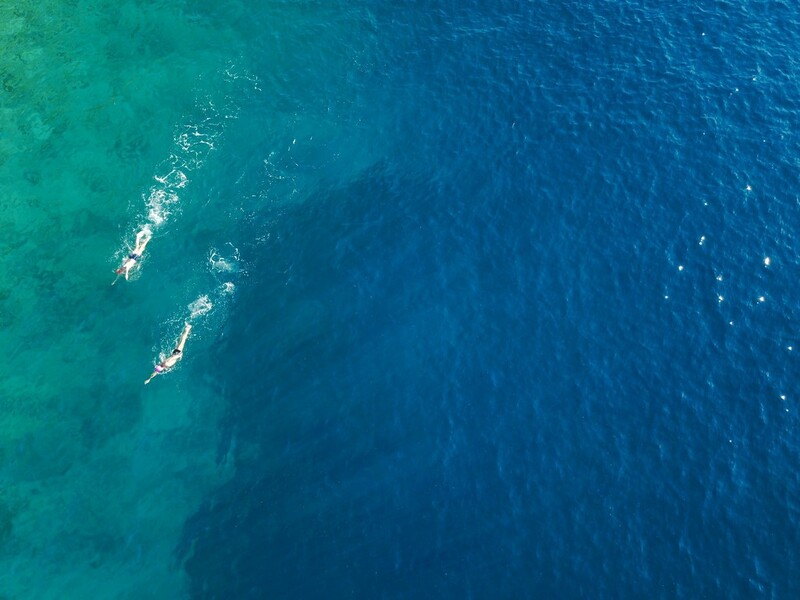 This trip is designed for the swimmer that is looking for a combination of both island hopping and coastal swims. 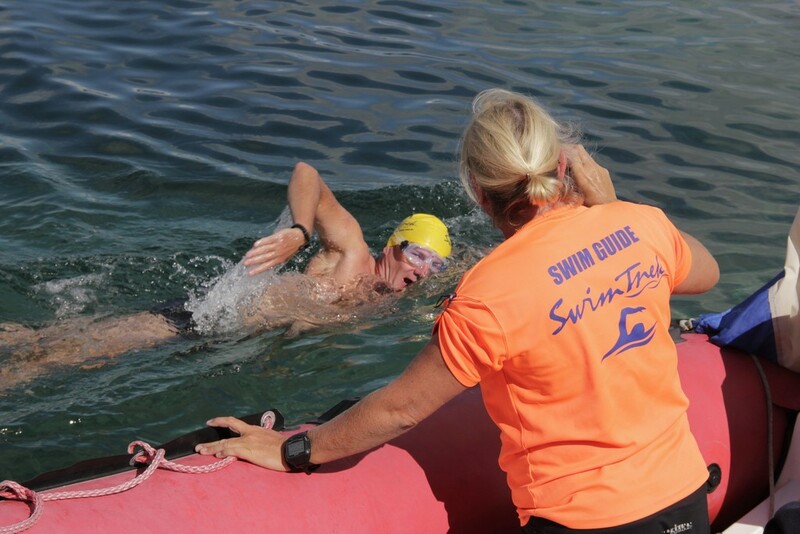 Swimmers should have a basic understanding of open water swimming and be capable of completing the average daily swim distance of around 4 km prior to the start of the trip. We meet in the late afternoon where you will have a chance to relax before meeting for our pre-trip briefing. In the briefing we will discuss in detail the plan for the upcoming week. 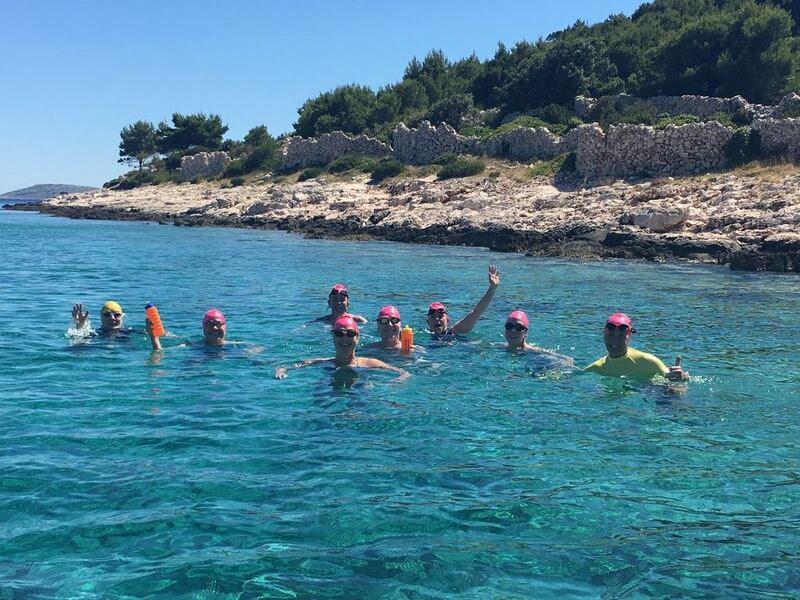 Following breakfast we carry out an acclimatization swim, followed by a coastal swim along the Prvić Luka coast. It’s a great opportunity to get used to swimming in a small group before we take on the crossings later on. 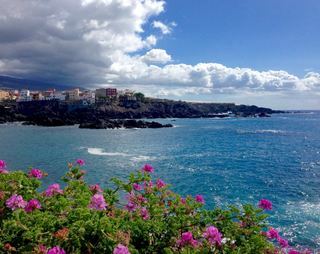 The sheltered bay of Sepurine is our base for stroke improvement. 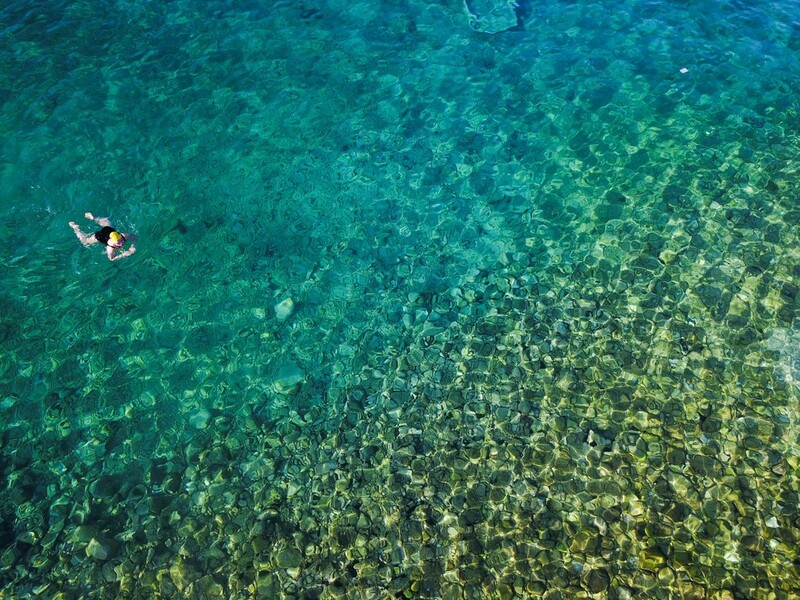 The guides video and analyse your stroke above and below the water for review later in the evening over drinks. The second swim of the day is the crossing to Tijat. On arrival we make our way up to the highest point on the island, where the view from the top is fantastic. In the evening, a video analysis session will be held to playback the video which was taken earlier in the day. 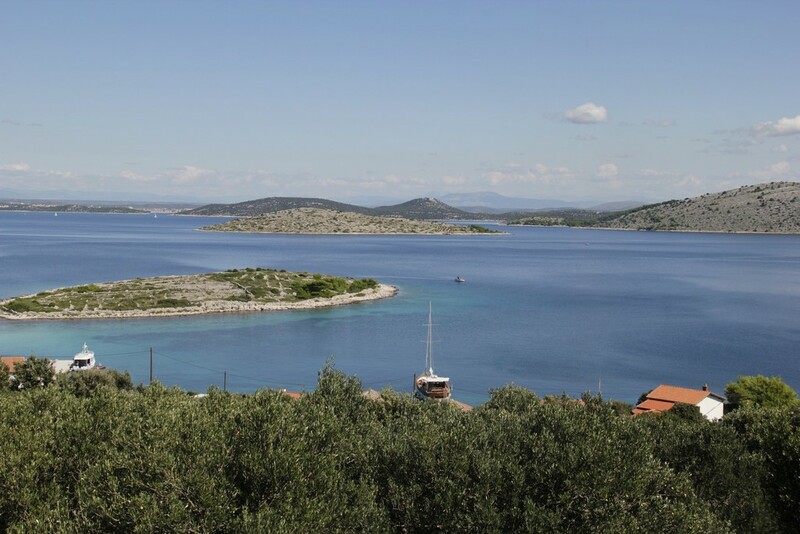 Today, we head to the western side of Tijat to start our first crossing of the day to Zmajan, also known as Dragon Island. After a hearty lunch and a chance for some rest, we will do our second crossing of the day from Zmajan to Kaprije. 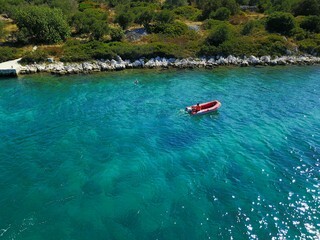 We will have a chance to explore the island of Kaprije upon landing. A short walk up the hill brings you to the perfect panorama of your crossing from Zmajan. Continuing down the hill brings you to the other side of Kaprije where you will find its main village complete with coffees and ice-cream. Today we have some time off from island-hopping. 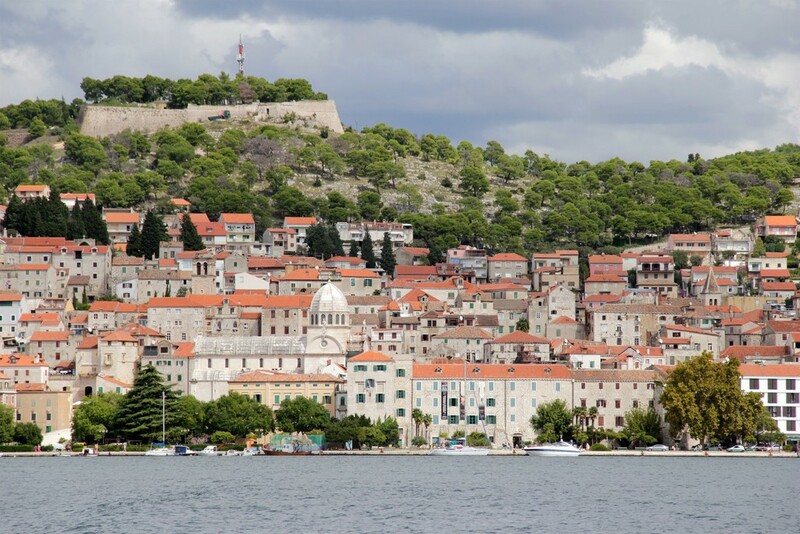 We start with a visit to Sibenik, which gives us a chance to walk around the cobbled streets of this ancient town, before hopping in the water for our first swim. 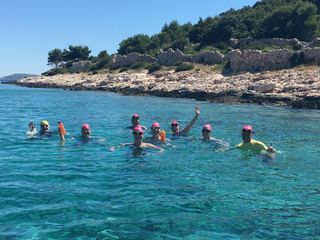 We then head to the island of Zlarin, where we have a relaxed lunch, followed by an optional walk (2km) to the lookout tower which gives stunning views over the islands to which we swim during the week. 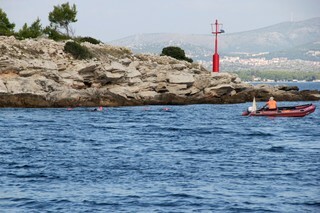 The second swim of the day sees us swimming along the shore of Lupac, Prvic’s smaller neighbour. 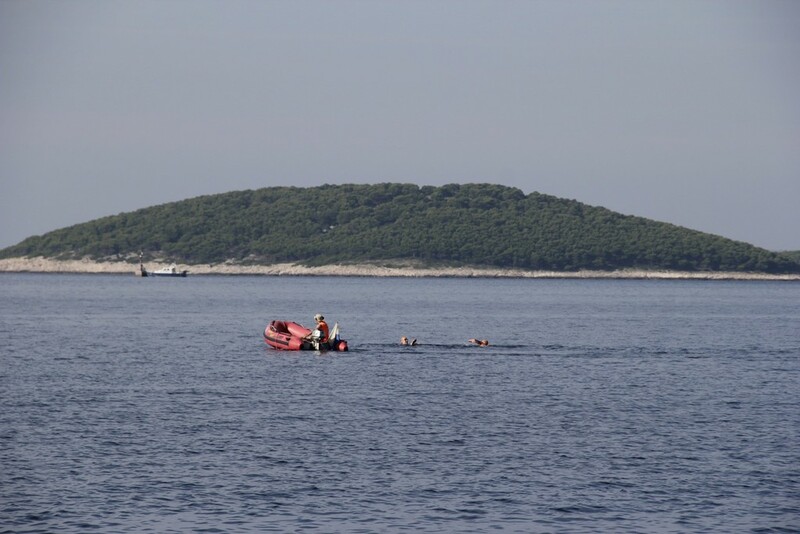 We return to island hopping and complete two more crossings. 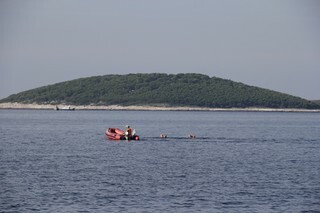 The morning is taken up with the crossing from Kaprije to the uninhabited island of Kakan. Following lunch there is another opportunity for guides to provide a further optional stroke analysis and technique session. 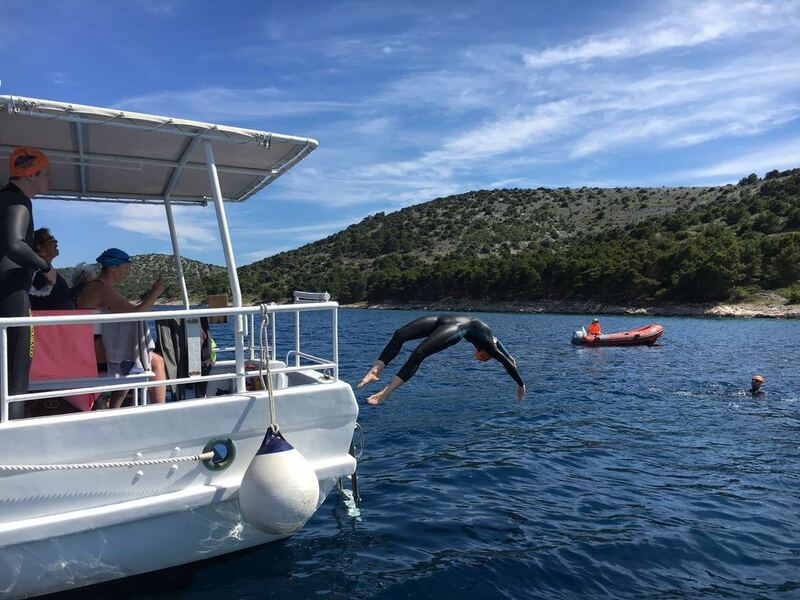 It’s then time for one of the biggest crossings of the week as we swim to the rugged island of Žirje, which is one of Croatia’s most isolated yet idyllic islands. 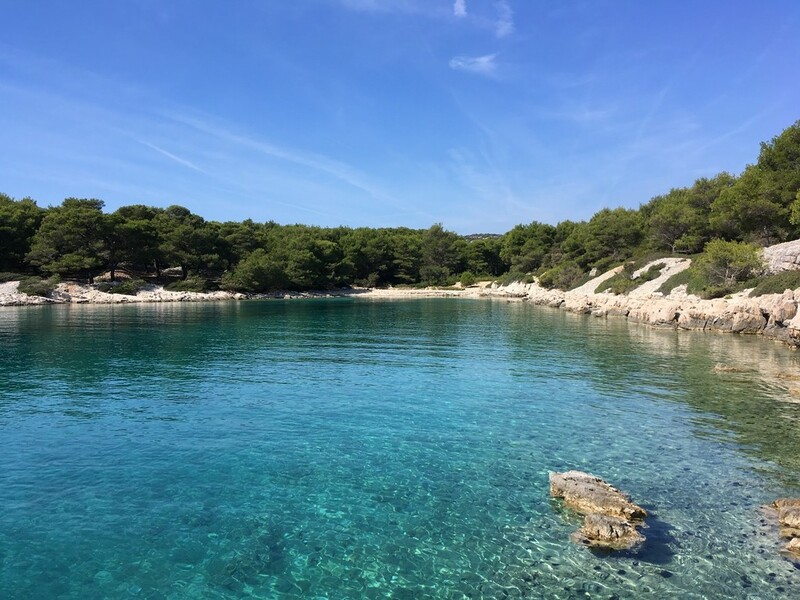 Today it's an early start as we head back to Žirje, the most western island of the Šibenik archipelago, for a day of scenic coastal swimming along some of its most striking coastline. There is nothing in the Adriatic between where we swim and the Italian coastline. 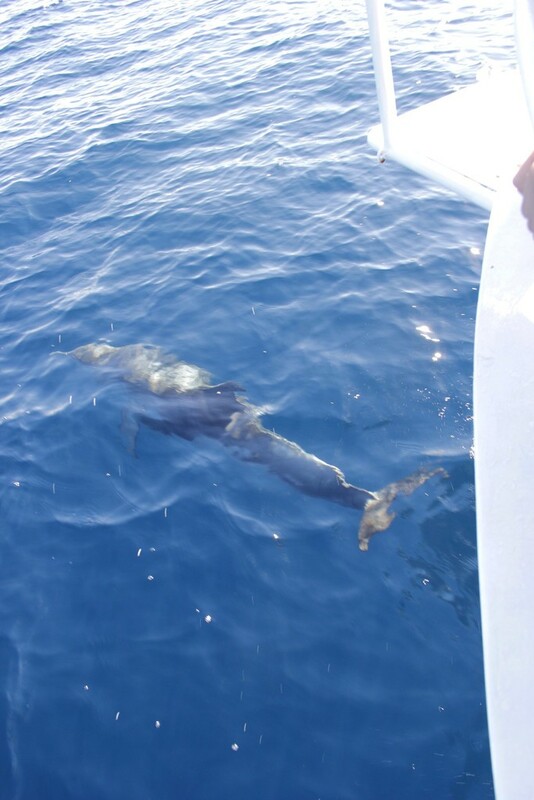 The underwater topography is superb and dolphins have been spotted around here before. A relaxed start, as we make our way to a remote beach, where we will have a short swim to end a fantastic week of swimming. 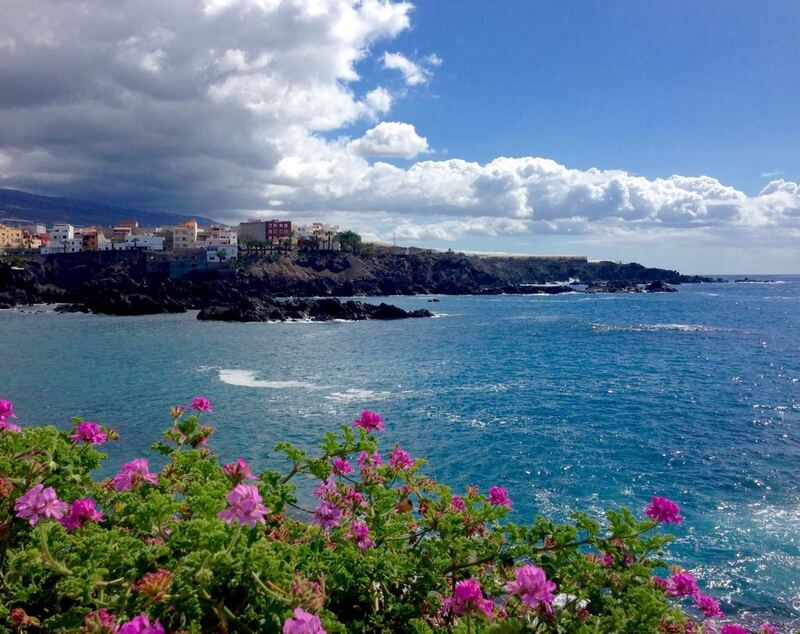 There are two optional 2 km walks that you can choose to take part in. 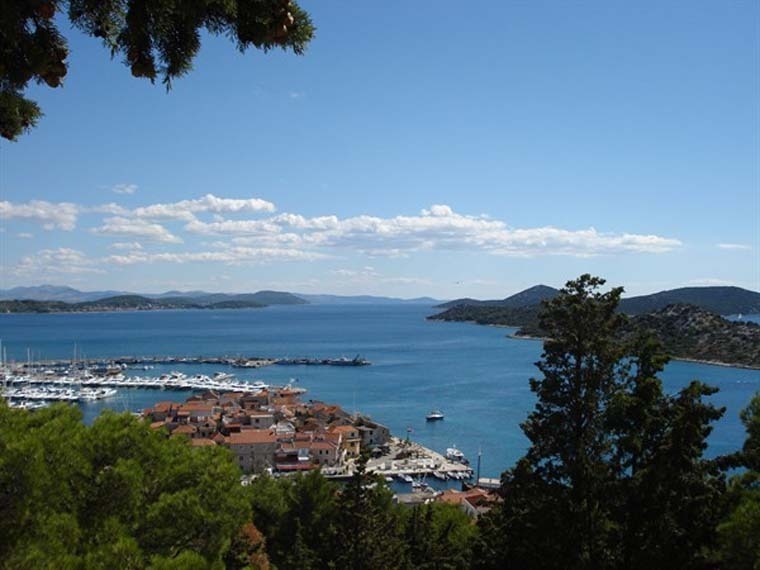 These take place on the islands of Tijat and Zlarin and offer spectacular panoramic views from both islands. Most other walks take place on recognised paths and tracks, however, there may be cases where we walk along trails or other unsealed surfaces and care should be taken in these areas. Whilst we have outlined various travel options below, they are subject to change and should be used as a guide only. We suggest that you use the following websites to search for alternative flight and ferry options for this trip. 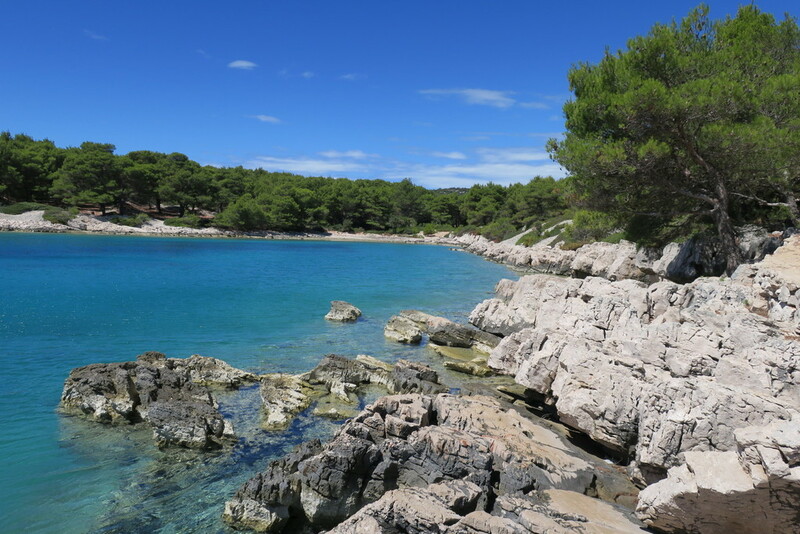 To search for available flights into Split, we suggest that you use Skyscanner. To arrange a private transfer from Split Airport to your accommodation at Hotel Maestral, please contact the hotel directly by emailing your arrival information to:info@hotelmaestral.com. 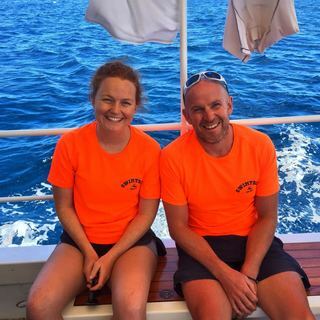 This service includes a car and taxi boat transfer, with a journey time of approximately 1 hour 15 minutes, dependent on traffic. The rates are indicated below and are payable on location. To search for available flights into Zadar, we suggest that you use Skyscanner. To arrange a private transfer from Zadar Airport to your accommodation at Hotel Maestral, please contact the hotel directly by emailing your arrival information to:info@hotelmaestral.com. 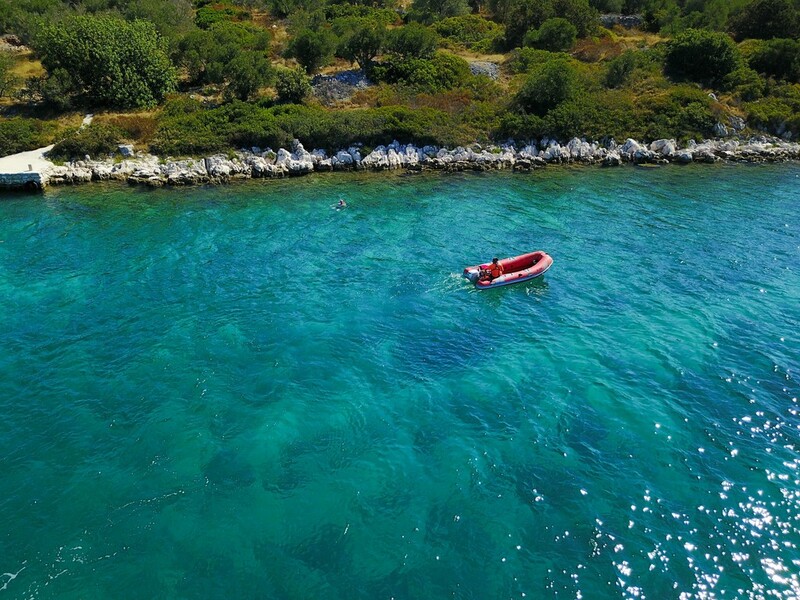 This service includes a car and taxi boat transfer, with a journey time of approximately 1 hour 15 minutes, dependent on traffic. The rates are indicated below and are payable on location. Our accommodation for this trip is in Hotel Maestral, one of the region’s finest locally-owned hotels. The hotel is perfectly situated directly on the waterfront and offers a range of twin-share rooms with en suite facilities. There are a limited number of single supplement rooms which can be reserved during the booking process, subject to availability. If you require any additional nights’ accommodation before or after the trip, this can be arranged directly through the Hotel Maestral. All breakfasts and lunches are included in your trip price, however, dinners are at your own expense. This gives you a fantastic opportunity to explore and experience the local cafes and restaurants of your choice over the course of your trip. The average cost of dinner in a local restaurant is around 225 Kn. You should bring extra money with you to cover such items as dinners, souvenirs, entertainment, etc. 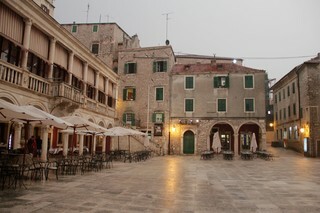 The local currency is Croatian Kuna (Kn). It is advised to draw local currency out before arriving on the island. You can exchange currency at the post office and there is a cash machine in Šibenik. Please note that there are no ATMs on Prvic Luka. Croatia is part of the European Union. 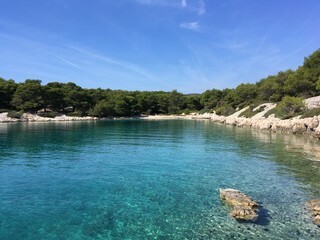 Non-residents of Croatia require a full passport to enter the country, which should be valid for six months beyond the expected length of stay. Citizens of most countries, including all E.U. 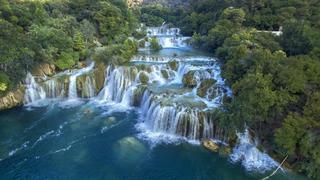 member states, U.S., Canada, Australia and New Zealand do not require a visa to enter Croatia. Please note that visa regulations are subject to change and we advise that you check your own visa requirements prior to travel. For comprehensive health information for people travelling to Croatia, including all recommended and required vaccinations, please visit www.travelhealthpro.org.uk/countries. Please note that this information is subject to change and you should re-check this site regularly prior to your trip. 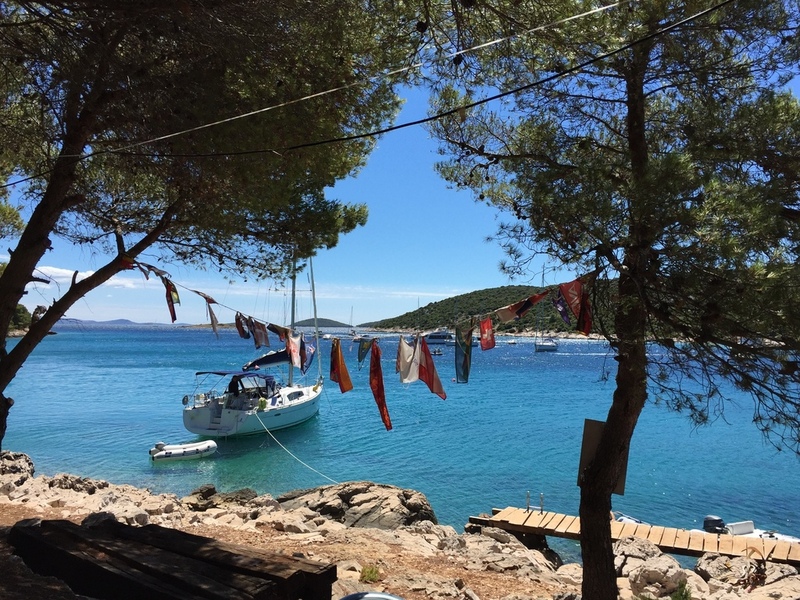 We had the most incredible time on Prvić Luka earlier this year - thank you to all involved. We have amazing memories we'll never forget 💙 Would recommend to all, they can cater to all swimmers of varying capabilities - check it out! It was the most amazing experience...exceeded my expectations. 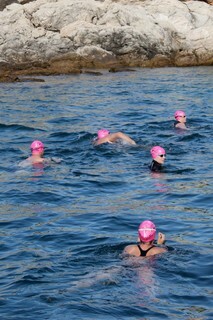 The location was beautiful, the water was clear and warm... the swim guides where absolutely amazing... They are a credit to you. I will be definately be back next year! Fabulous trip from start to finish. Guides were so helpful and fun. 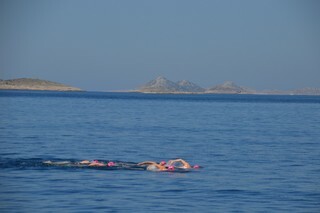 Fantastic swims, beautiful scenery! An unforgettable experience. I achieved more than I thought I could, met great people and discovered an incredible new country. 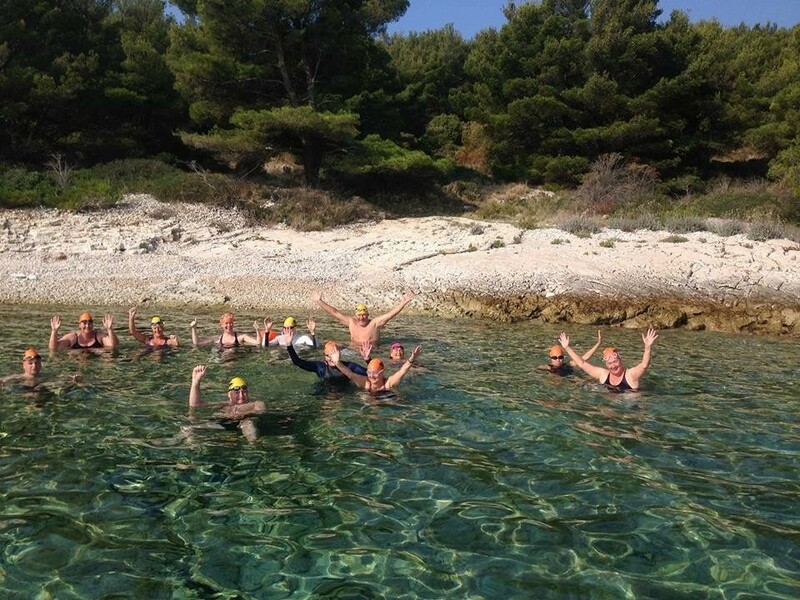 A fantastic swimming holiday, in a great location, run by excellent guides. 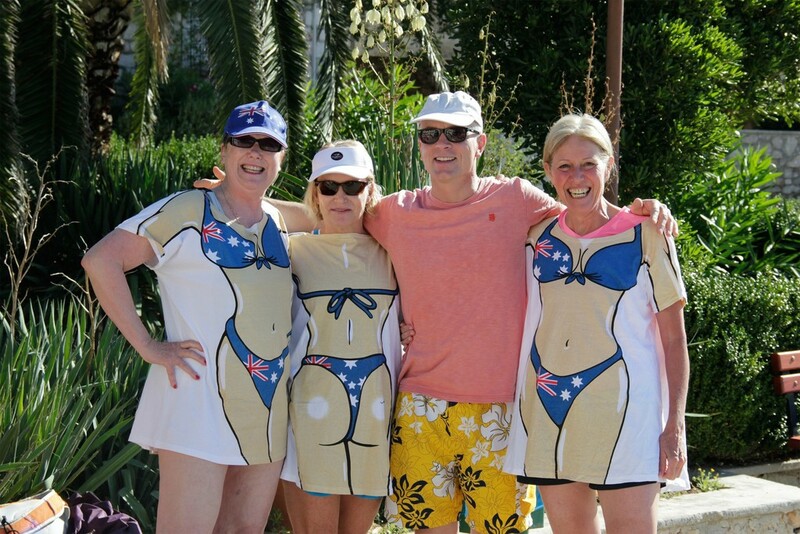 It was a very fun trip which I will remember for all of laughs, the great people, the Vaseline and of course the great swims! 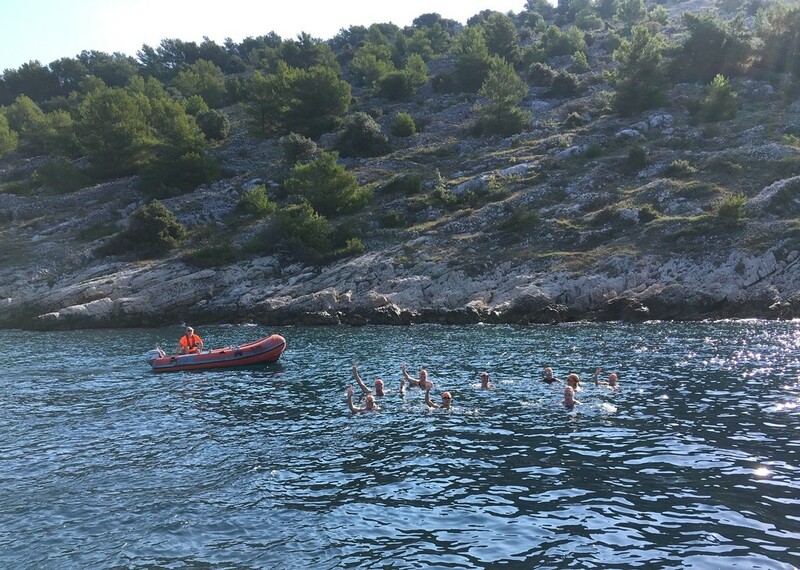 There was a real range of speeds amongst our group, but our amazing guides made sure everyone had a fantastic experience of swimming off the gorgeous Dalmatian coast. We ate well, laughed lots and had an utterly memorable time. This is the first of many SwimTrek holidays I'll be having! 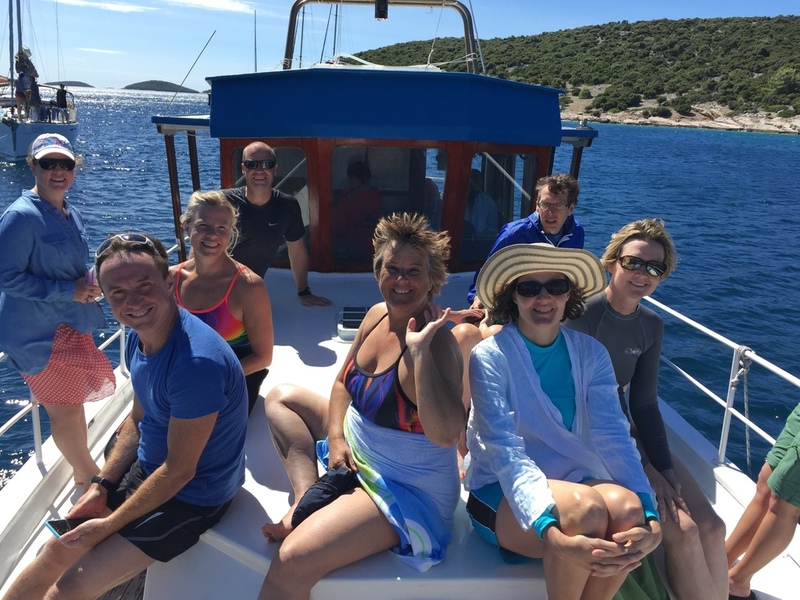 A truly life affirming week in Croatia . My first SwimTrek trip but most certainly not my last . 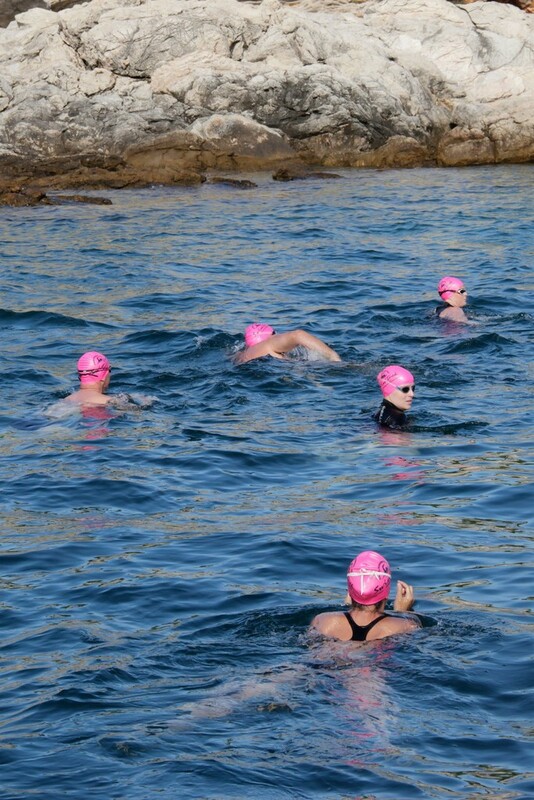 I had never done any open water swimming before and was nervous ahead of the trip . I could not have had a better group of people to swim with .The camaraderie, support and humour alongside the most superb swimming in stunning waters . An unforgettable week with a fantastic organisation . I could not recommend it more highly . Great location and amazing guides who really went out of their way to make it a fun and enjoyable holiday. 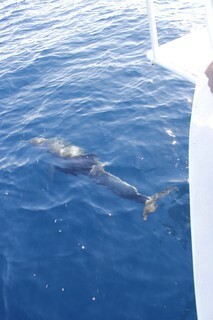 Fantastic experience, great guides with safety always at the forefront. 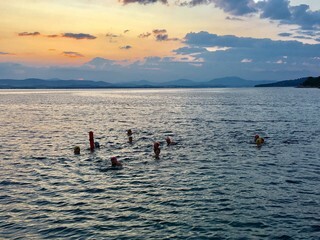 A great way to visit a country, highly recommend to all swimming enthusiasts! My previous five trips with SwimTrek have taken me from rookie splasher to pretty competent in the water status. I now have the confidence to safely swim out to that boat anchored in the bay and back; something I've always been tempted to do on holiday in the past but now I can actually achieve. An experience I will never forget. Friends made, achievements gained, a wonderful location and top notch guides. Fabulous! 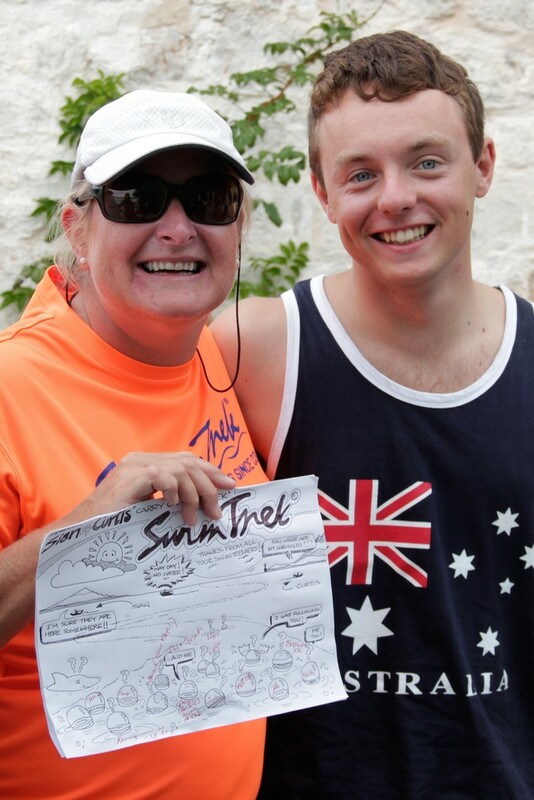 Going on a SwimTrek break could easily be the most enriching thing you do for yourself all year. One of the best holidays I have been on, I will definitely be making a swim trek holiday an annual event! 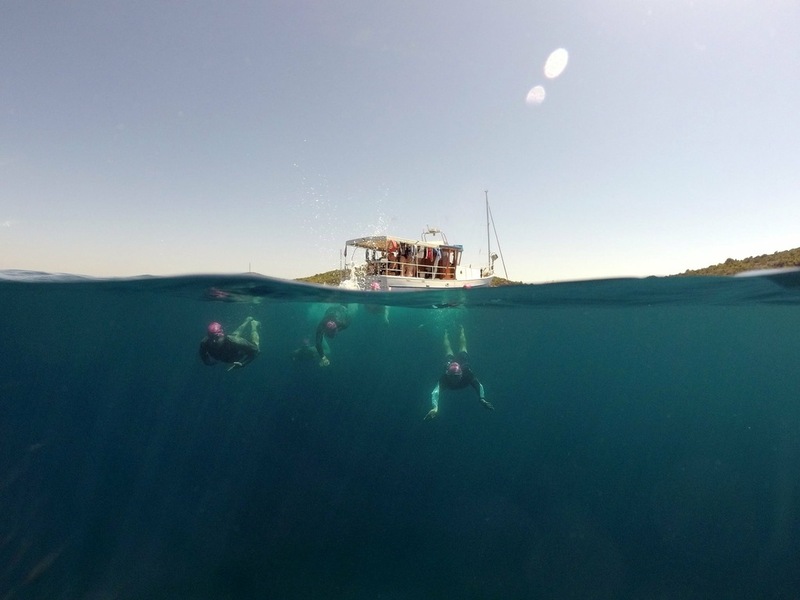 Wonderful time on Croatia short swim holiday. Everything about it was great, from the excellent coaching to the wonderful evenings out as a group cannot fault anything. 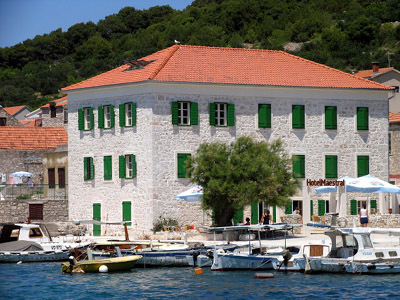 A real SwimTrek favourite, the Maestral is a locally owned and run traditional Croatian hotel set within a beautiful old stone house situated on the seafront in the village of Prvic Luka. Rooms at Hotel Maestral are decorated in traditional Mediterranean style with original stone walls, wooden parquet flooring and wooden windows with typical Dalmatian shades. 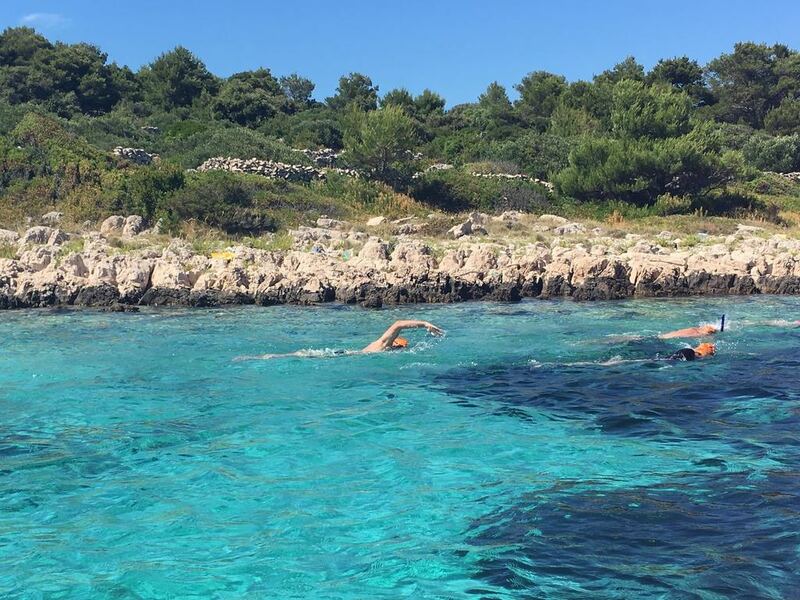 For slightly shorter daily swim distances, join us on this alternative Dalmatian Coast adventure. 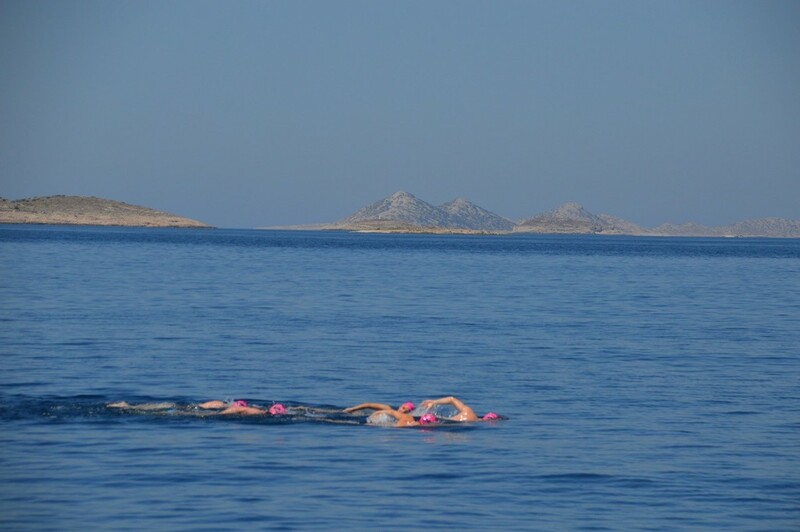 For slightly longer daily swim distances, join us on this alternative Dalmatian Coast adventure. 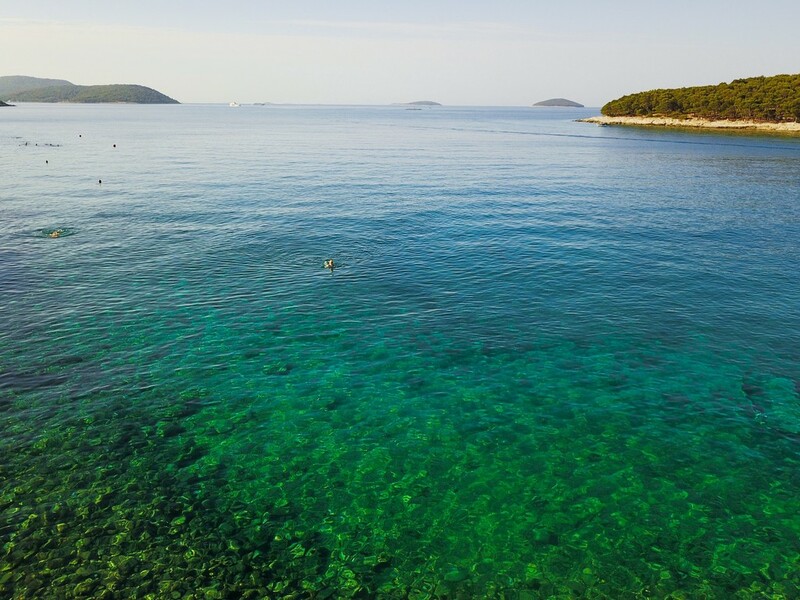 Explore another part of Croatia's scattered-island coastline with this trip in Kornati Islands National Park.